Phnom Penh (FN), Feb. 24 - At the Invitation of His Excellency Saleumxay Kommasith, Minister of Foreign Affairs of the Lao’s People Democratic Republic (Lao PDR), His Excellency Prak Sokhonn, Deputy Prime Minister, Minister of Foreign Affairs and International Cooperation of the Kingdom of Cambodia, led a delegation to pay an official visit to the Lao PDR and to co-chair the 13th Meeting of the Cambodia-Lao Joint Commission for Bilateral Cooperation (JCBC) from 21 to 22 February 2019 in Vientiane. 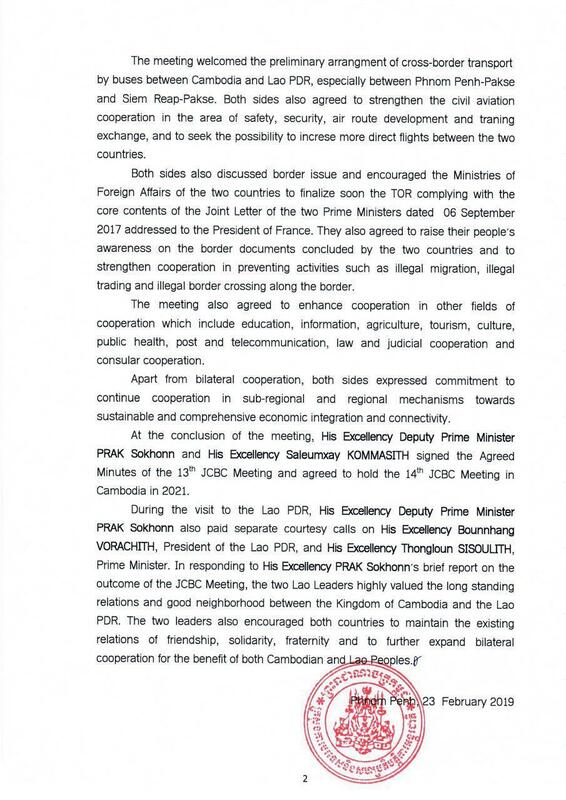 “Prior to the JCBC Meeting, the two Foreign Ministers exchanged information on the recent political development in their respective countries,” according to the ministry’s press release dated Saturday. 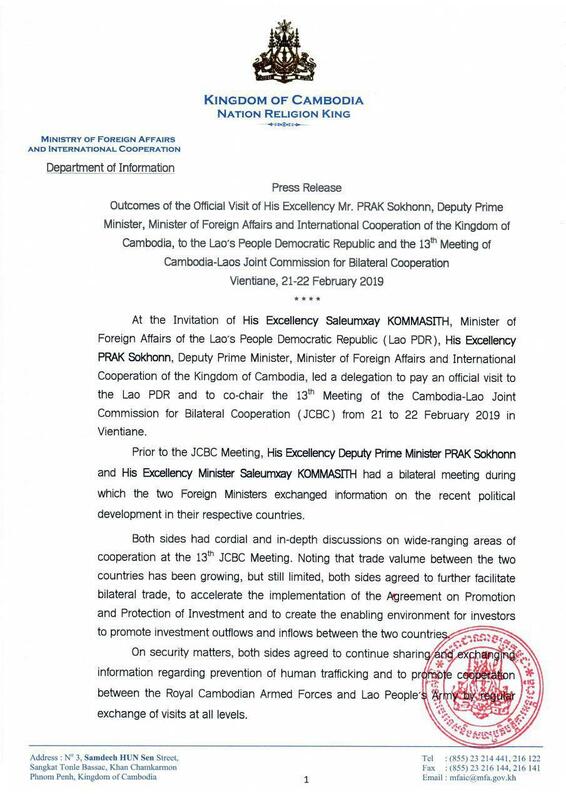 “Noting that trade valume between the two countries has been growing, but still limited, both sides agreed to further facilitate bilateral trade, to accelerate the implementation of the Agreement on Promotion and Protection of Investment and to create the enabling environment for investors to promote investment outflows and inflows between the two countries,” the ministry added.